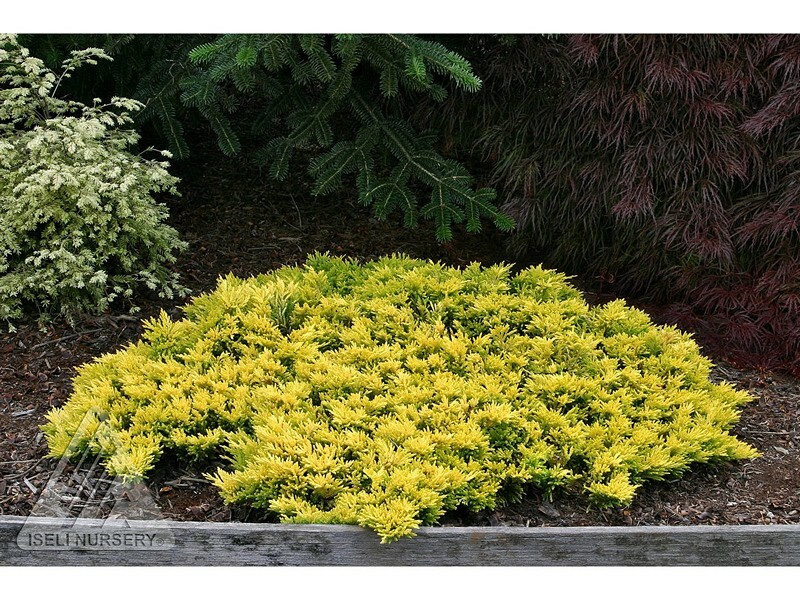 Product Information : Spreading dwarf juniper with vivid yellow foliage. In spring, brightly-colored new growth livens up the chartreuse interior foliage and continues until fall when soft reddish tones appear. Seedling selection from 'Mother Lode.' Protect from scorching sun. Slow growing (2-4" per yr).